Professor Stephen Kotkin has won the 17th annual Council on Foreign Relations (CFR) Arthur Ross Book Award for Stalin: Waiting for Hitler, 1929–1941, the second volume of a definitive biography of Joseph Stalin. “Deeply researched, richly textured and eminently readable, Kotkin has written a brilliant book that explores some of the most consequential events of the twentieth century,” said Gideon Rose, editor of Foreign Affairs and chair of the award jury, which includes CFR members, but reaches its decision independently of the institution. 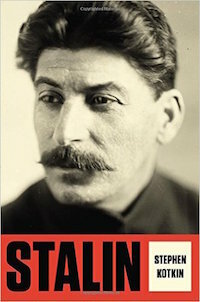 Kotkin's first volume, Stalin: Paradoxes of Power, 1878-1928, was awarded the Silver Medal in 2015. Read more at the Woodrow Wilson School.